Burma’s pro-democracy leader Aung San Suu Kyi has expressed her sadness at the death of former Czech President Václav Havel who died on December 18 at his home in Prague. “Suu Kyi expressed her sadness for him [Havel] when she arrived at the party headquarters for the CEC,” said Ohn Kyaing, a spokesman for her party, the National League for Democracy (NLD) referring to the Central Executive Committee meeting. Havel’s empathy with the people of Burma and with Suu Kyi had long evident. Shortly after he became the president of the former communist country of Czechoslovakia, he nominated the Burmese pro-democracy leader, then under house arrest, for the 1991 Nobel Peace Prize. Havel stood until his last days as an advocate for Burma’s pro-democracy movement alongside other figures such as Desmond Tutu of South Africa. In 2005, Havel and Tutu jointly wrote a report titled “Threat to the Peace,” recommending the UN Security Council to intervene in Burmese issues. Havel never missed a chance to show solidarity with the Burmese people when they faced significant challenges during the 2007 Saffron Revolution and the 2008 devastation of Cyclone Nargis. 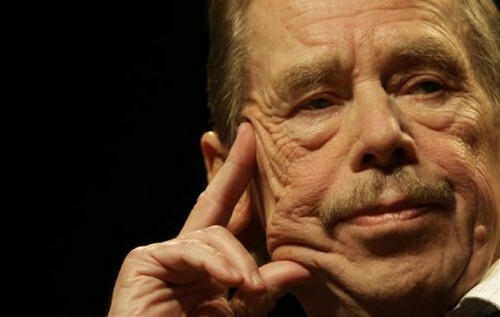 “In Burma, the power of educated monks—people who are unarmed and peaceloving by their very nature—has risen up against the military regime,” Havel wrote in September 2007. “Of course, if they fail to feel the benefit of universal and coordinated international political, economic and media support, all development in Burma may quickly be put back nearly 20 years,” he added. In May 2008, he joined with other world figures, such as Tutu, former German President Richard von Weizsäcker, Foreign Minister of the Czech Republic Karel Schwarzenberg, and former President of South Africa Frederik Willem de Klerk, in publicly attacking Naypyidaw over its lack of response to the cyclone crisis. “But more than sympathy is needed, because the Burmese military junta’s incompetence and brutal oppression are further aggravating the tragic consequences of this natural disaster,” it said. Even in his last days, Havel did not neglect to cite Burma at international fora. 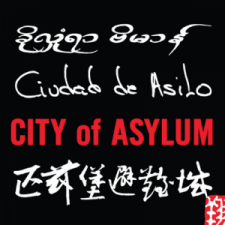 On Dec. 11, Havel called for the international community to encourage the signs of cautious change in Burma. “It is crucial that the international community adopts effective policies that encourage a meaningful and result-oriented dialogue between the Nobel laureate Aung San Suu Kyi and the Burmese authorities,” he said. A mutual admirer, Suu Kyi often cited Havel’s well-known writings, including quotes from “The Power of the Powerless,” when interviewed or when she spoke to the public in front of her lakeside house in Rangoon in the mid-1990s.